Geographic Information Systems (GIS) uses computers and software to capture, analyze and present spatial information. Everything in your water distribution system has information that is based off a physical location, i.e. meters with billing information, valves, fire hydrants, well site, storage tanks, etc. GIS allows you to combine all of your spreadsheets and data with a physical point on a map. With change in personnel and outdated maps, it is extremely important to have up-to-date accurate maps. We will work with you to create a data dictionary and determine what information is needed with each asset collected. Once you have all of your assets located with accurate GPS points, you are now ready to implement GIS. SAMCO takes all of the points and data collected during the survey and creates custom maps to fit your specific needs. SAMCO provides you with all of the data, as well as GIS software to allow for your own, in-house GIS capabilities both in the office and the field. SAMCO GIS maps meet and exceed regulatory compliance standards. All data and maps are stored in GIS, so they cannot be lost. Easy to use mobile apps for field work—no more paper maps. A management tool which provides use, condition and budgeting documentation to be used for facility planning and addressing deferred maintenance. 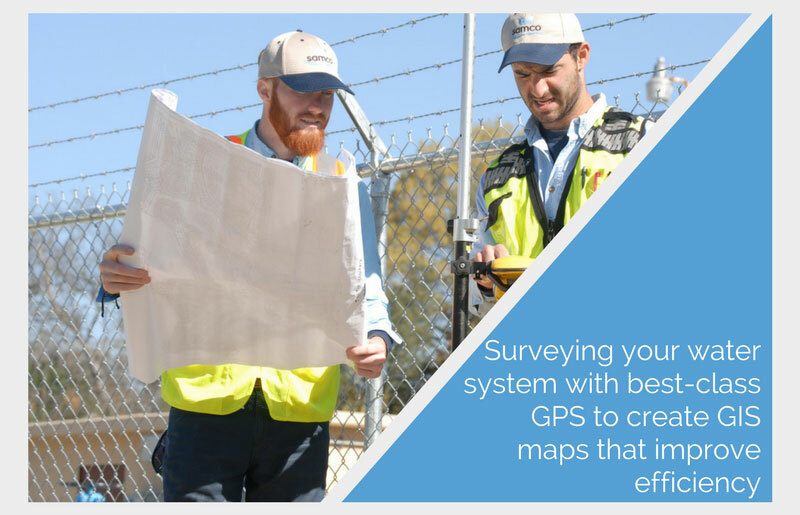 SAMCO offers personalized training for employees to train them on GPS data collection and GIS practices so you will have the ability to run an efficient GIS system in-house.